What does this mean? It means that builder’s risk insurance cover your losses on new construction not excluded from the policy. Incidents like floods or earthquakes would not be covered unless a rider were put on the policy to cover these types of events. Do you need builder’s risk insurance? The answer is yes. Buildings and homes under construction are subject to many hazards and damage to these structures is routine, and you would not want to be liable for the repair costs. 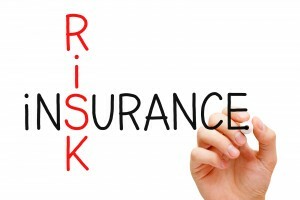 Furthermore, many contracts require that you have builder’s risk insurance. Likewise, to be up to code, local entities may require you to have builder’s risk insurance before beginning a new build. Builder’s risk insurance is usually purchased by the builder. However, common law states that once a property has had improvement done on it, it belongs to the owner. Because of that law, in some cases the owner will take out the builder’s risk insurance. If that happens, the pay-out on any claims would go to the owner, who would pass the funds on to the builder. You should get builder’s risk insurance before you begin a new build. Coverage for a builder’s risk must include the total price of the new construction not including the land. This price tag includes the total cost of labor and materials. This coverage may be written for three, six or twelve months. The coverage usually ends when the building is ready for occupancy, is occupied, sold or the policy expires. Once the policy expires, it should be replaced by home insurance. Builder’s risk insurance covers fire, wind, theft, vandalism and a host of other damages that can befall a piece of new construction except those excluded. It does not function like workers’ compensation, so worker injuries are not covered. Builder risk insurance is a first party insurance. Unlike, commercial general liability, which is a third party insurance, builder’s risk insurance does not cover damage or injury to a third party. Builder’s risk insurance is a necessary piece of your risk management strategy because of your investment of time and materials in a piece of new construction. It is also many times a prerequisite to obtaining a contract or to being in line with code requirements. However, builder’s risk insurance has exclusions such as worker injuries, earthquakes and damages to third parties.